The onset of hatch chile season means that the pot of beans I make for the 2-3 TexMex nights that are always on the menu get a green chile makeover. Where I come from, you usually have three options for beans on taco night: refried beans, charro beans, and borracho beans. Refried beans are easy, especially when your two-ingredient recipe calls for a can opener and a can. Charro beans take a little bit of planning and a whole lot of bacon. Borracho beans? They also need a little bit of planning. But most of all? They need beer. 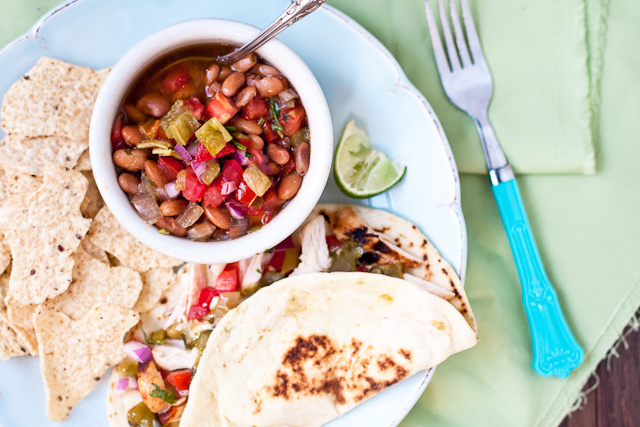 In addition to being spiked with beer, these beans are also spiked with green chile salsa verde and a hatch chile pico de gallo. Here in Texas, Shiner has always been the popular choice for borracho beans. There are very few rules, but there is one thing to remember: Pick out an amber-or-darker brew from your fridge because, just like in all other aspects of real life, light beer won’t do much for you. 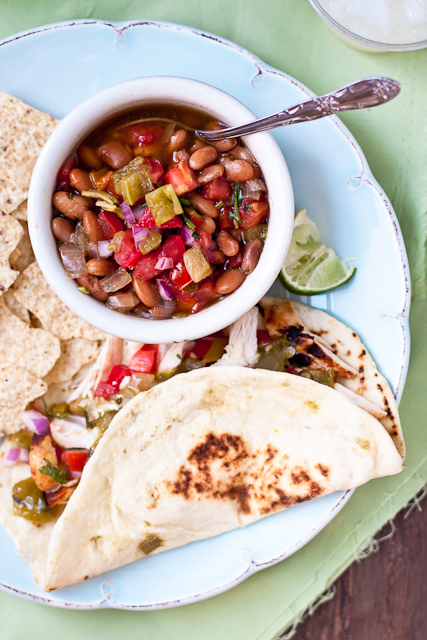 Your favorite taco night side infused with green chiles and beer. *Either soak overnight or do the quick-soak method: bring beans to a boil, turn off heat, and let stand 1 hour; drain and proceed with recipe. Place the pre-soaked beans, beer, brown sugar, onion, garlic, salt, pepper, chile powder, cumin, and salsa verde in a large pot. Cover with 3-4 inches of water and bring to a boil. Reduce heat to a simmer and cook with the lid ajar for ~90 minutes, until the beans are tender. Mix the ingredients for the pico de gallo and add half of the mixture to the beans. Cover and let stand for 15 minutes; stir and adjust seasoning as desired. Serve beans garnished with the remaining pico de gallo. Oh I love beans! These look delicious! Ahhh! 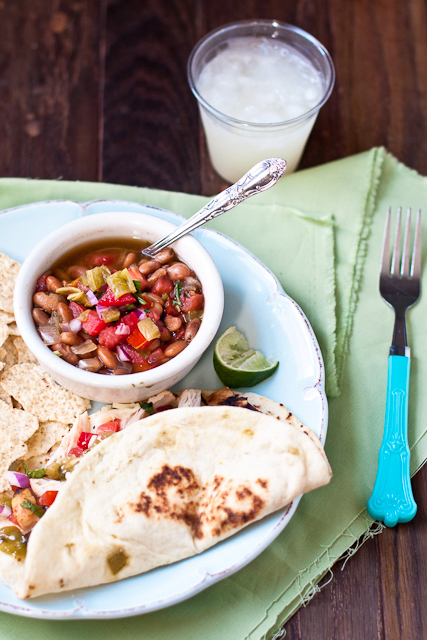 We love borracho beans, and I cannot wait to make these. They were pretty much my favorite Texas discovery. 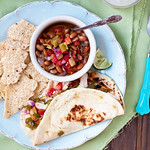 i can’t get enough of mexican food, so i definitely need to recreate this recipe, looks and sounds delicious! I want these with every meal!